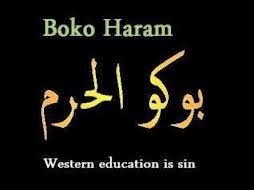 The Nigeria Supreme Council for Islamic Affairs (NSCIA) and the Islamic Welfare Foundation have condemned the activities of the Boko Haram sect, maintaining that Islam preaches peace and respect. Speaking during a conference tagged “Islam and the Nigerian State:A Centenary of Bridging Theocracy and Secularism”, a Professor of Islamic Studies from the National Open University, Professor Ishaq Oloyede noted that both Islam and Christianity have unified different ethnic groups in the country and called for more understanding, tolerance and respect amongst worshipers in the country. He also blamed lack of unity and fragmentation among Muslims as partly responsible for misinformation on Islam. The President of Islamic Welfare Foundation, Mallam Aliu Bhadmus, frowned at what he called misinformation and attempt to dub Boko Haram members as Muslims. He wondered how the group which kills, maims and abduct girls could be labelled Muslims when they indulge in unIslamic acts. According to him, their actions are more political than religious.